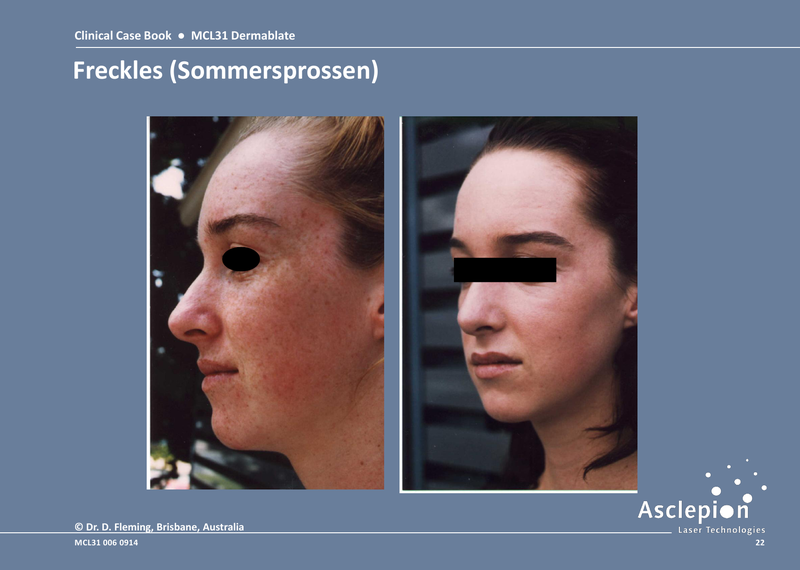 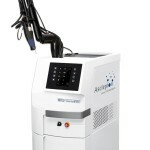 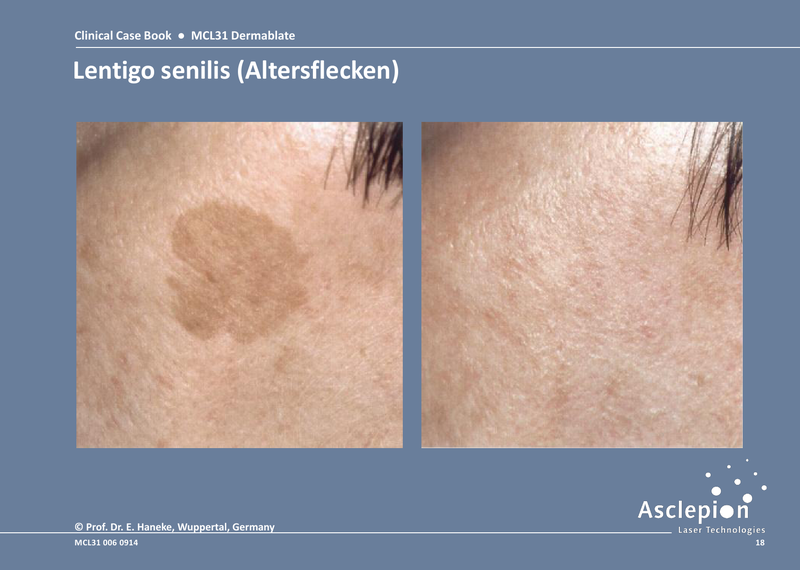 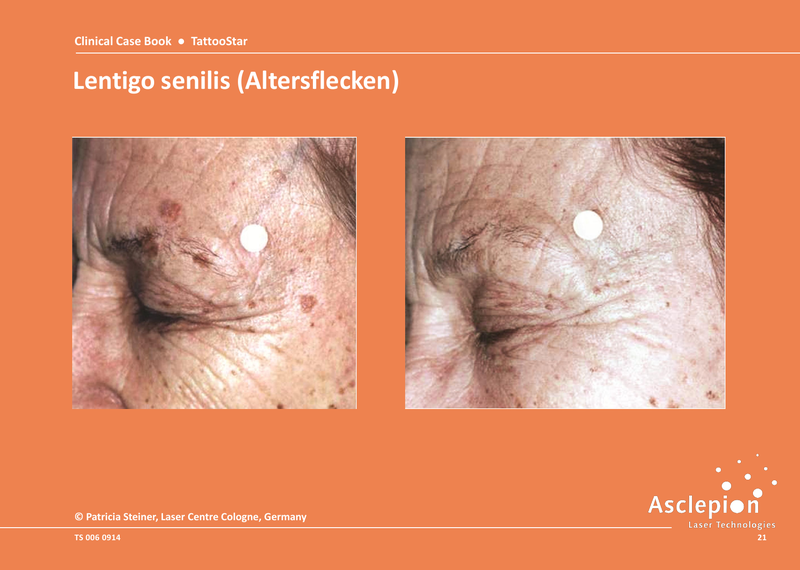 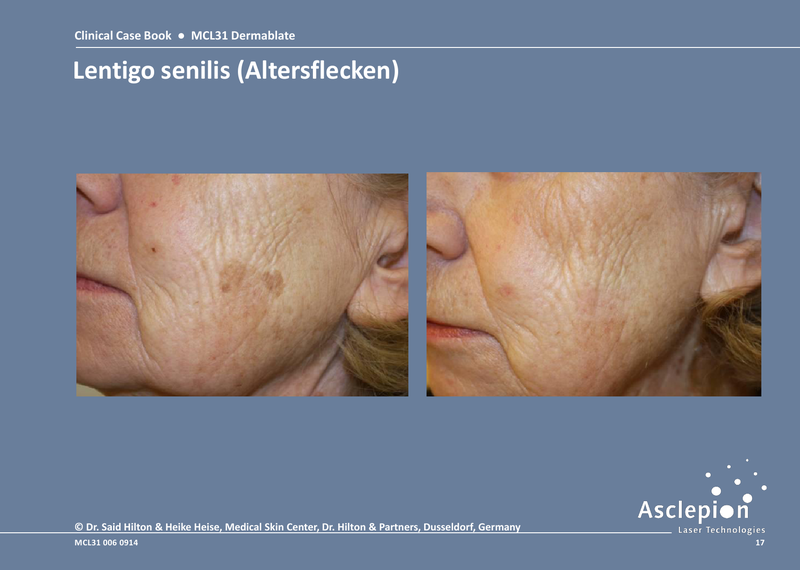 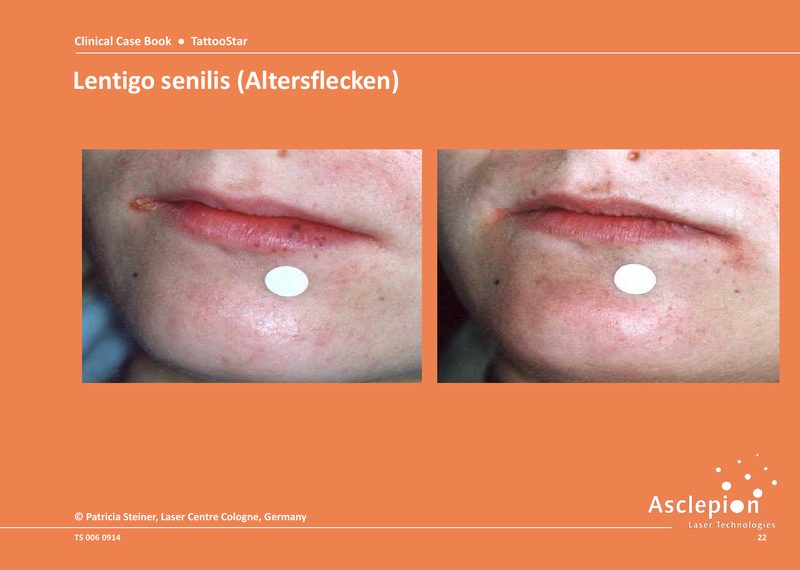 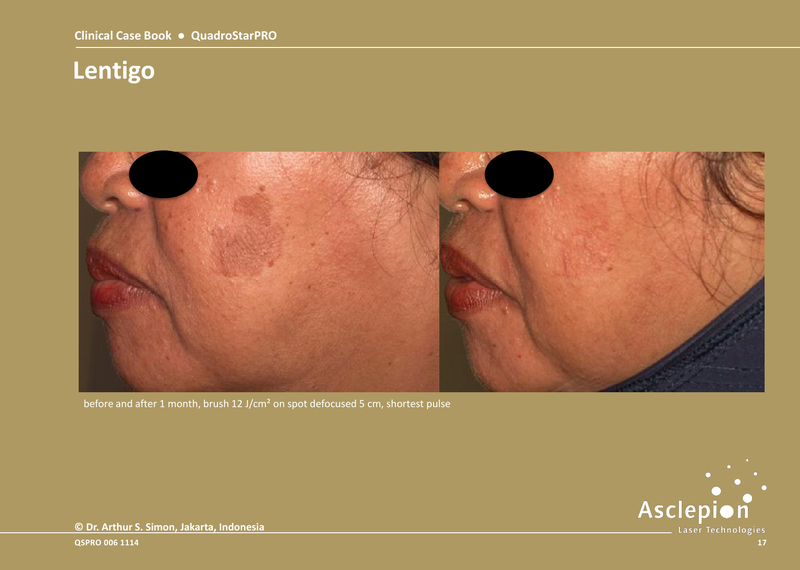 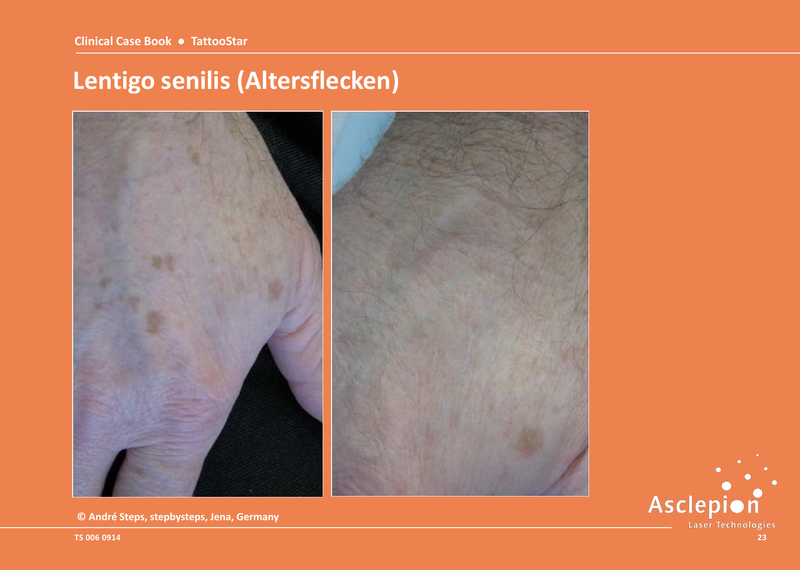 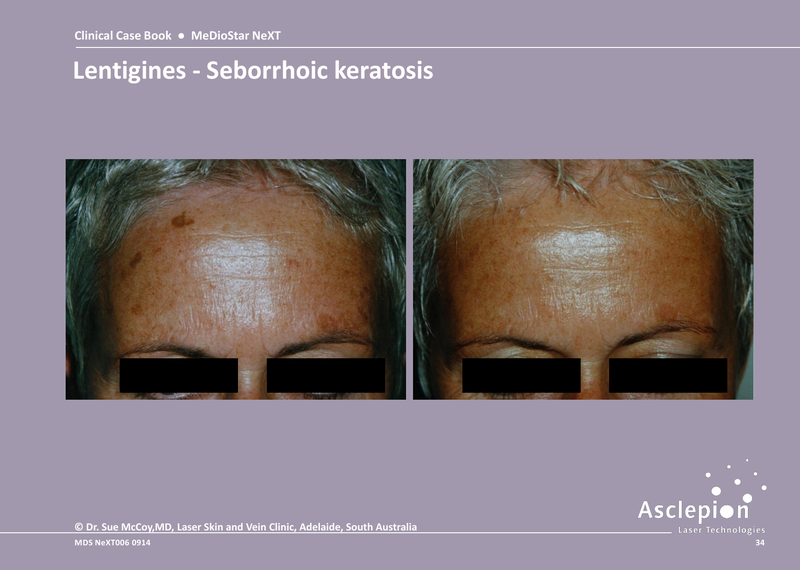 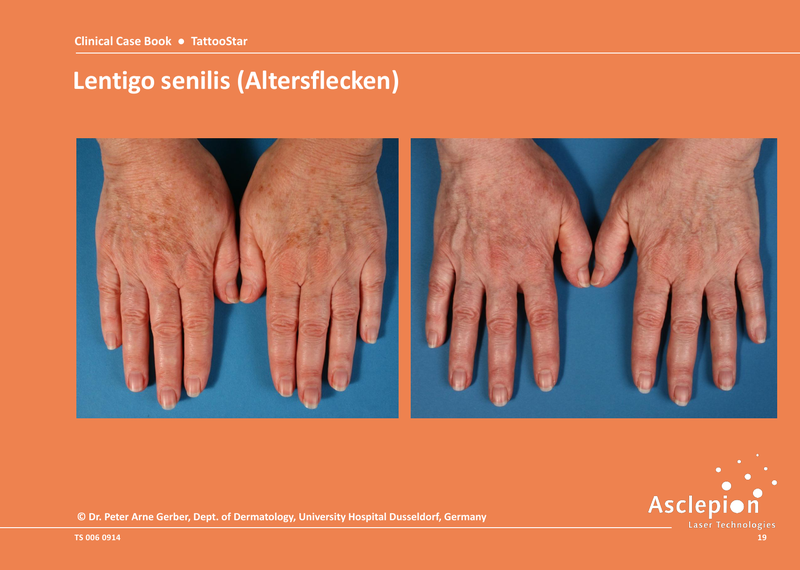 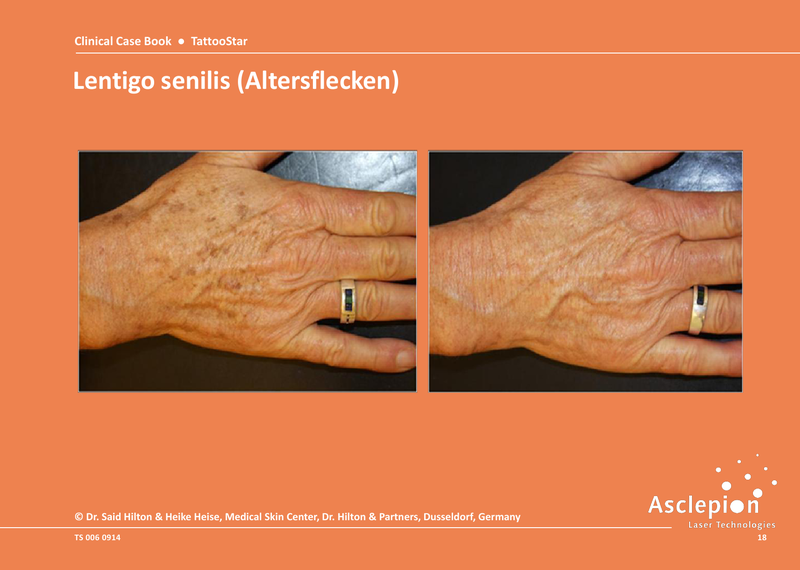 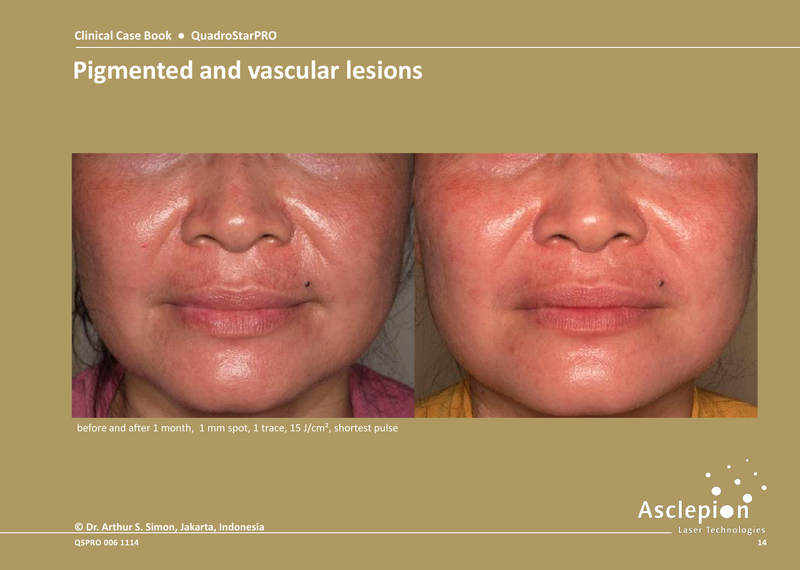 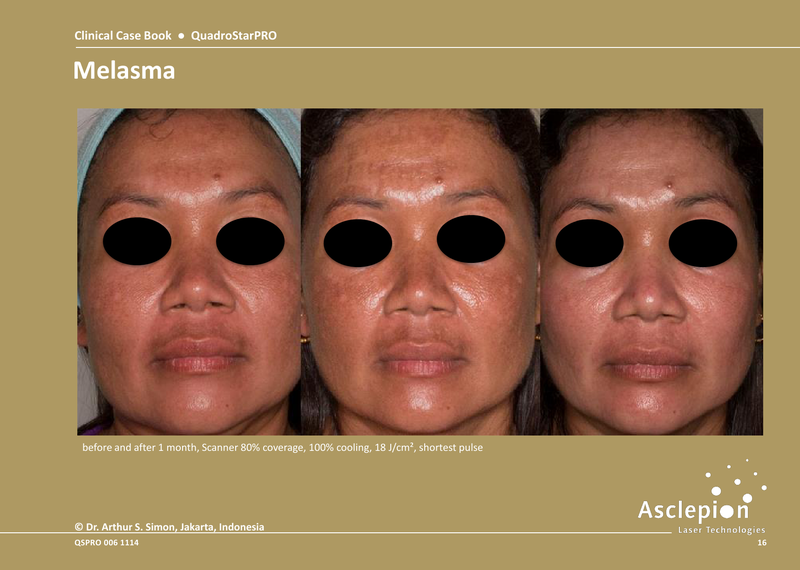 Pigmented lesions may also be treated using ablative lasers. 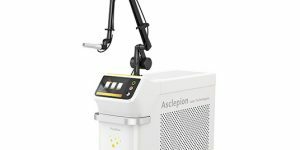 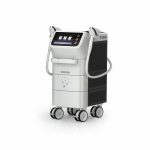 In this respect, it is necessary to differentiate between “cold ablation”, with the MCL31 Dermablate Erbium:YAG laser for instance, and vaporization with the QuadroStarPRO YELLOW. 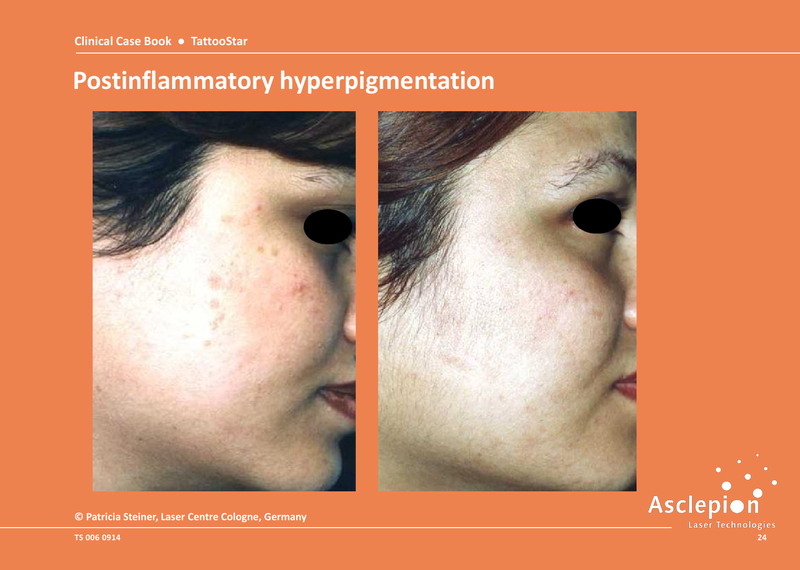 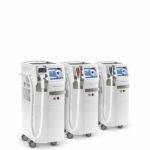 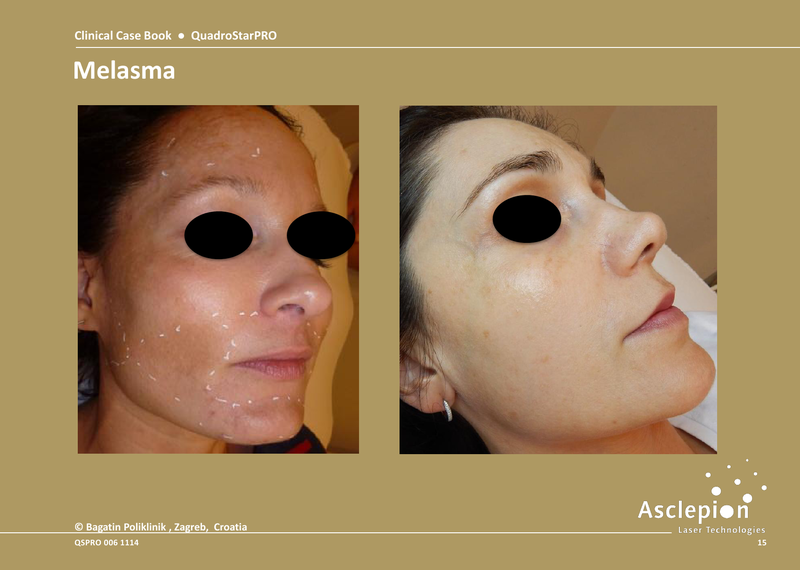 The laser beam penetrates through the upper layer of the skin and is absorbed by the color of the pigments. 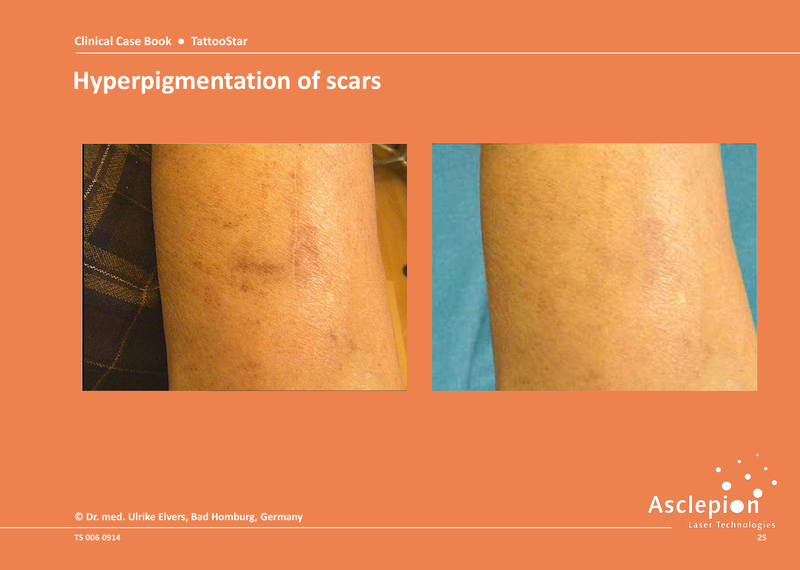 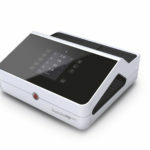 As the high-energy laser pulses of these devices last only a few nanoseconds, they are absorbed by the pigment particles selectively without causing any coincident thermal damage to the surrounding tissue. 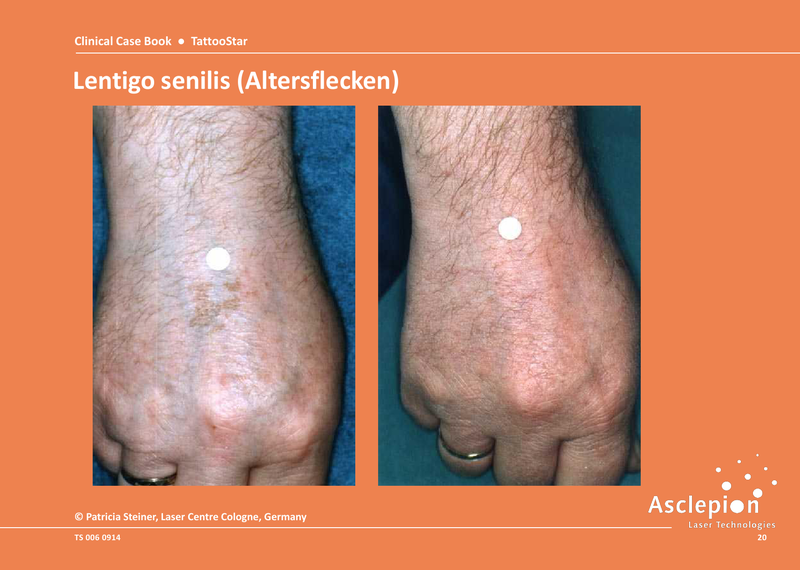 The ink particles are fragmented by the laser irradiation and the broken-down ink are removed by the body’s own lymph system.